Many could quite reasonably argue that the UK Higher Education sector has faced more than its fair share of challenges in recent years. 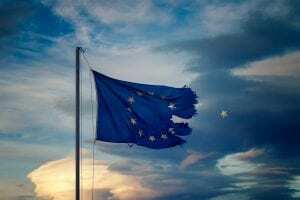 Subjectively speaking, the ongoing uncertainty and unanswered questions as we approach the original scheduled departure date for the UK to leave the EU seems to overshadow anything we have seen before. The ‘will-we-wont-we’ discourse, unprecedented outcomes from the series of meaningful votes in early 2019 and possible delays to Brexit have only added to this pressure cooker of uncertainty. Remaining true to its spirit and in the midst of an ever changing landscape, UCL has continued to look outwards, not inwards to maintain and consolidate our commitment to Europe. We have cast our net wider and intensified our engagement to ensure that we can continue to attract the brightest and the best students to join our global community, and to reassure them that they will always be welcome here. Building on new initiatives rolled out over the past 12 months, we have continued to expand and intensify our programme of targeted student recruitment activities across the EU to prepare for 2019 and beyond. This has not only helped us to maintain numbers to date but (as of March 2019) we are able to report an approximate 4% growth in overall EU applications to UCL for 2019/20. 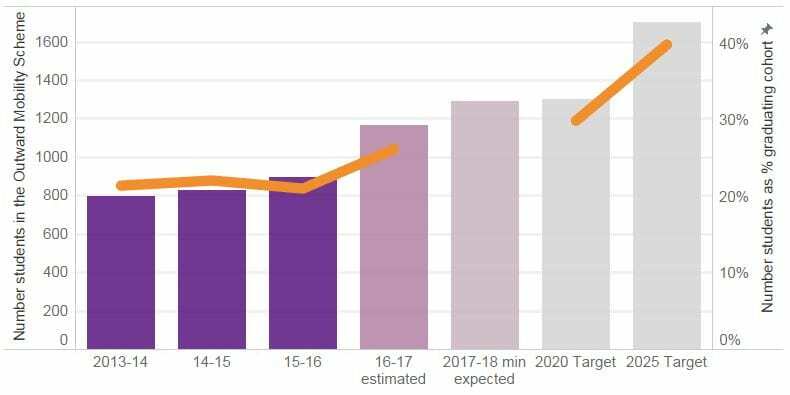 It is too early to say with certainty how these trends will evolve, but given the ongoing uncertainty around tuition fees, questions on access to student loans, and increased competition it is unsurprising that the UK Higher Education sector is reporting variance across markets. In terms of what we are doing in practice, we are confident in UCL’s ability to attract applications and we have therefore been intensifying and diversifying our in-country conversion activities across Europe, to ensure we are able to support high quality prospective students at such a key decision-making point in the cycle. We are supplementing this with a series of online activities, utilising UCL’s virtual events platform. We have jointly identified areas for collaboration in key Europe markets, working closely with other Professional Services and academic colleagues across UCL to ensure we are joined-up and showcase the UCL community at its very best. We have also been evaluating key influencers in the prospective student journey, and have put in place a number of initiatives to enhance our relationship with these key stakeholders. This helps to ensure they are well equipped to advise prospective students on applying to UCL. Keeping in mind the 4.4% increase in EU students enrolled on full degree programmes at UCL in the 2018/19 academic year, the early indications and overall application trends have meant we are cautiously optimistic for the 2019/20 academic cycle. At the same time, we are not complacent and remain alert to the fact that UCL is not immune to the ongoing risks presented by Brexit, particularly given the many unknowns for EU students who will be applying for 2020 and beyond. All of this serves to highlight why it is so critical that we are now consolidating our presence and efforts across Europe to ensure that we continue to champion UCL’s global outlook and build strong relationships, that we demonstrate UCL’s excellent research and the magnificent breadth of academic disciplines on offer. In a similar vein to the discussions around Brexit, the student recruitment landscape is far from static; through intensifying and innovating our student recruitment activities and engagement across Europe, we are striving to ensure that UCL is the top choice for students from Europe and beyond. If you would like more information about our recruitment activity for Europe, please contact: Hayley Simpson, Liaison and Recruitment Manager. Once every year, over a thousand people between the ages of 18 and 30 are chosen as One Young World delegates and a prominent city somewhere in the world prepares to host them for four unforgettable days. Representing organisations large and small – multinationals, non-profits and universities – and countries far and wide, there is only really one thing that binds them: the belief that anyone can make a difference. 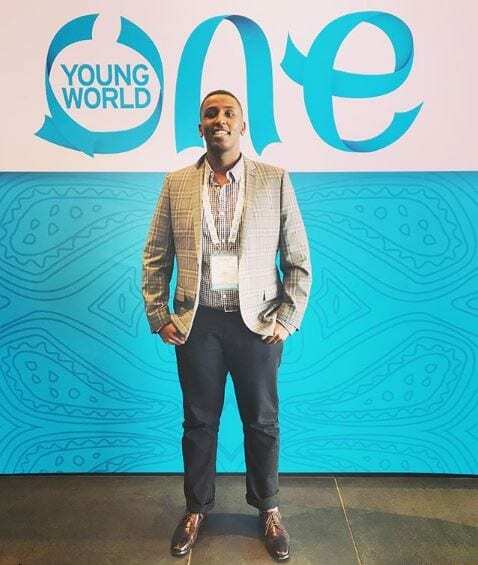 If someone had told me when I started my first year at UCL that I would be the university’s representative at One Young World this year in the Hague, Netherlands, I would have laughed in their face. I come from a privileged family, well-off enough to afford overseas tuition. I have never done anything incredibly extraordinary; I just grew up with the values of giving back ingrained in me. I may be fortunate, but there are so many that are not, and the least I can do is help in any way I can afford. So, I did. I volunteered for local NGOs in Mumbai while in high school. I aided waste management initiatives in the community. I worked in drought-prone rural Western India and realised that pursuing civil engineering was not only something that interested me, but also something that would help me make a difference. After I started university, I volunteered with Engineers Without Borders UCL and then UCL Engineers in Action. I continued volunteering in Mumbai during the summers and worked on affordable technology during my research internship after second year. 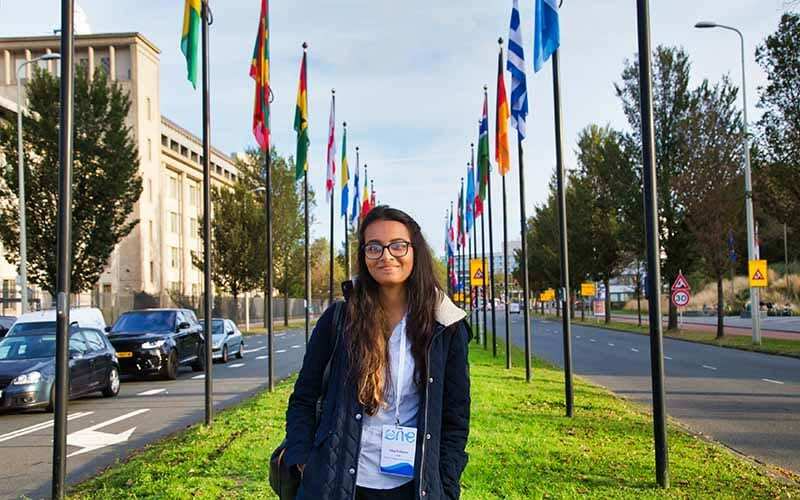 This is why UCL Global chose me as the university delegate – and One Young World made me realise that it was acceptable that I had not made a world-shattering discovery or received an armful of awards. I had still pitched in, in any way I could. That is what One Young World is about: speeches, workshops and excursions that inspire you and remind you of the power of the individual. The fact that one person can create change, however small that change may be. You do not need to have the largest bank balance or the greatest personality: you can change things just as you are. One Young World also reminded me of the power of togetherness. Tabata Amaral, a delegate speaker at the summit, said: “A dream that’s dreamed together becomes a reality.” One Young World was more than a summit in that sense – it was a community. It was the feeling of being in sync with 1,900 other people from around the world, from countries I had never heard about. It was about a group of people wanting the same thing for the world and taking steps to accomplish that. The summit was divided into a multitude of topics such as Environment, Health, Peace & Justice, and Human Rights – but the primary message I took from each of the plenary sessions, each of the workshops and each of the keynote speeches was the same. Changing the world is an uphill task: we cannot escape the problems that plague society today. Be it the refugee crises in different pockets of the world, the fundamental gender issues brought to attention by the #MeToo movement, or global warming affecting our oceans, forests, and cities, we have a long way to go before we can justifiably say that we have been triumphant. But we also have so much to celebrate. Somewhere in South Africa, a woman builds and runs schools for underprivileged youth after quitting her job at a multinational private equity firm. Somewhere in Colombia, a young man has dedicated his life to influencing legislative changes for improved social welfare. At UCL, we conduct an awe-inspiring amount of research on sustainability, education, human rights, global cooperation and the Sustainable Development Goals as a whole. We are doing our best in any way we can. And this concept, at its root, fuels me. Every one of us can change the world if we put our minds to it. Following One Young World, I have promised myself to do just that. I hope that in some way, shape or form, you will, too. 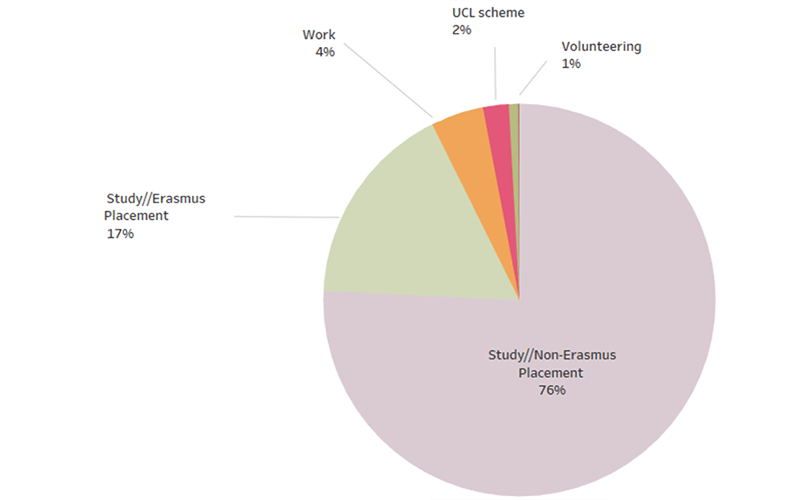 With Brexit negotiations ongoing, the future of Erasmus, the European Union’s student exchange programme, remains unclear in the UK – making the future of student mobility uncertain. But as London’s Global University, UCL is committed to providing its students with a truly global experience. And while studying in the heart of London goes some way to providing this, every UCL undergraduate has the opportunity to gain international study experience, regardless of their degree programme. UCL’s dedicated Study Abroad team exists to support and promote these opportunities for UCL students. Thanks to its work, today UCL has exchange agreements with over 250 institutions in 40 countries across five continents, including 48 of the world’s top 100 universities. But how many students travel abroad each year, and where are they heading? Data shows that over the past year, UCL has significantly increased the number of international exchange opportunities it offers to students. In fact, the number of outwardly mobile undergraduates has increased by an estimated 35% since 2015/16. In 2016/17, 1,164 undergraduate students (around 26% of the graduating cohort) experienced one week or more abroad, while 23.8% experienced four or more. As of July 2018, at least 1,292 students will take part in such programmes during 2017/18, with this figure expected to rise. 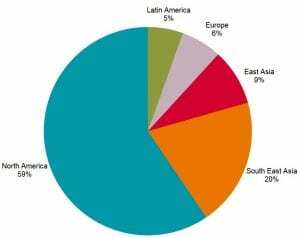 Taking a closer look at the data shows that the majority of UCL students are travelling to North America for exchange placements – 59% of the total, as demonstrated by the pie chart below. Top destinations for these students are the University of California, the University of Toronto (U of T) and the University of British Colombia. At 20% of the total, the second most popular region for UCL students taking up placements abroad is South East Asia and Australasia. Top choice institutions in this region are the University of Melbourne, followed by the National University of Singapore (NUS) and the University of Western Australia. The next most popular regions for UCL students are East Asia, followed by Europe and Latin America. As the graph below demonstrates, these placements are at institutions in cities from Moscow to Hong Kong. For students who wish to study abroad but don’t have the opportunity to take part in an exchange programme as part of their course, there are also a number of short-term opportunities coordinated by UCL Study Abroad. This August, for example, 46 UCL students are set to travel to Shanghai and Hangzhou as part of the Study China programme. It’s also worth noting that each year, UCL in turn welcomes students for exchange placements from all over the world. Echoing the pattern of UCL students travelling for placements abroad, the highest number of students coming to study at UCL in turn are from North America (59% of the total). 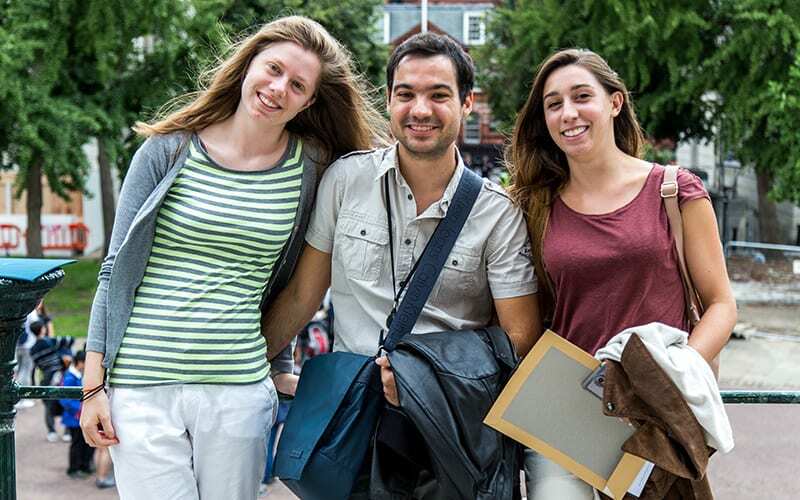 These students hail from institutions including the University of California, U of T, the University of Pennsylvania and the University of Washington. Beyond North America, UCL’s next biggest intake of students is from the National University of Singapore. Also in the top ten are the University of Hong Kong, the University of Melbourne and McGill University in Montreal. Owain Evans is UCL’s Short Mobilities Co-ordinator. He said: “It is important for students to enhance their future employability in the ever-changing and increasingly competitive post-graduation environment. Research shows that students with international experiences achieve better degrees and secure better jobs, so we encourage as many students as possible to seek out these opportunities while studying at UCL. “In addition to the positive effect on employability, there are a range of benefits available to students who spend time abroad, from improvements in language, communication, cultural awareness to the opportunity to build international networks. Put simply, international opportunities have the ability to change the lives of students who undertake them. I had to double take – tucked away near the bottom of the weekly UCL Student Union newsletter was a call for applicants for a funded week-long trip to Japan, to research and engage with the community recovering from the 2011 tsunami in Fukushima. I’d visited Japan twice before several years ago as a tourist, and I couldn’t believe my luck that here was an opportunity to visit again in a more, shall we say, ‘useful’ capacity, and help strengthen the already significant ties between UCL and Japan. 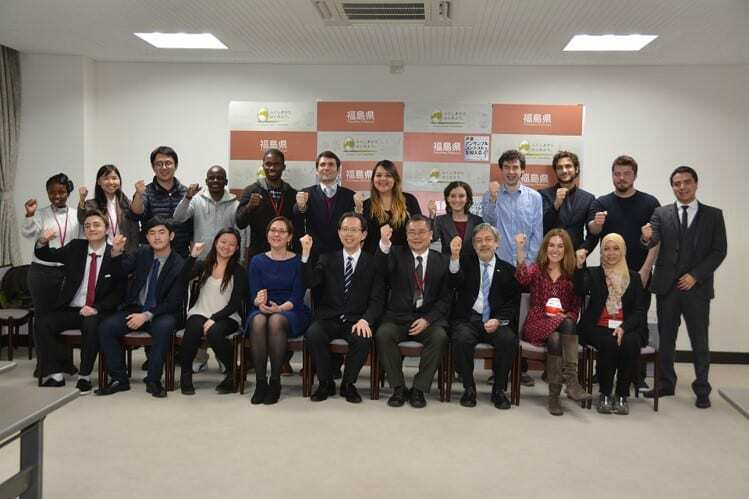 After a quick interview in December 2017, I was delighted to be selected by the UCL Global Engagement Office and Professor Shin-Ichi Ohnuma, a native of Fukushima, who would act as our group leader. Less than a month later, I was on a plane bound for Tokyo – funny things can happen when you actually read your emails! Reaching Haneda airport just outside the city, I joined other Masters and PhD students from the UCL Institute for Risk and Disaster Reduction, as well as students from the UCL Academy. We met a government official from the Fukushima prefectural government, who accompanied us on the four-hour coach trip to the prefecture. He explained that during the week we would be visiting areas of the Fukushima coastline most severely affected by the 2011 tsunami, and other regions the Fukushima Tourism Association believed would interest international tourists. We embraced every aspect of the trip – from the relaxing ‘onsen’ (traditional Japanese spa) to the delicious food and drink including ramen, tempura and sake. 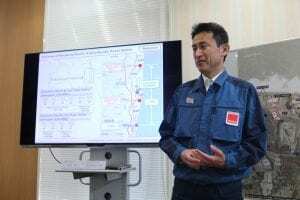 This was my third visit to Japan and I have a decent grasp of the language, but I had only a limited knowledge of Fukushima beyond the media headlines that I had read back in 2011 when the world learned about the deadly tsunami. 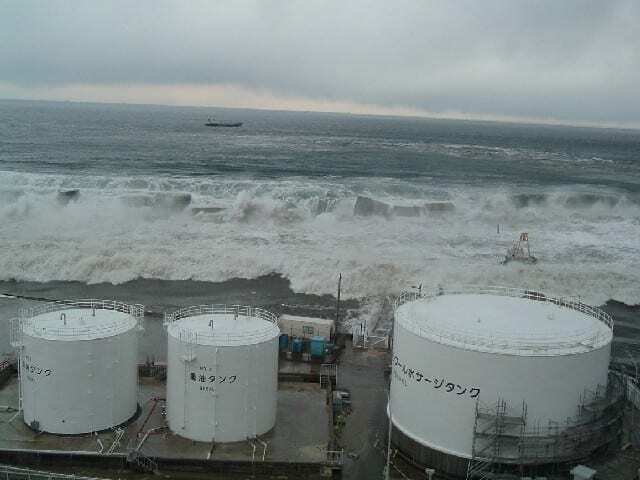 Affected by a ‘triple disaster’, Fukushima was struck on 11 March 2011 by an earthquake, the resulting tidal wave, and an explosion on the site of the Fukushima Daiichi nuclear reactor. Seven years have passed since the disaster, but I was still unprepared for what I saw. Pictures and videos in the media cannot do justice to the scale of the impact that day had, especially on the local residents. Moving through the evacuated areas was intensely sobering. All around us, buildings had been ripped apart by the strength of the earthquake. In a town where the evacuation order is yet to be lifted, I saw through a house with the walls ripped off – you could still see a shelving unit in the hall with the family’s shoes on it, unchanged from seven years ago when they were forced to evacuate. On the trip we learned about the environmental and social challenges the people of Fukushima are facing, such as the underpopulated and abandoned areas of formerly thriving towns. 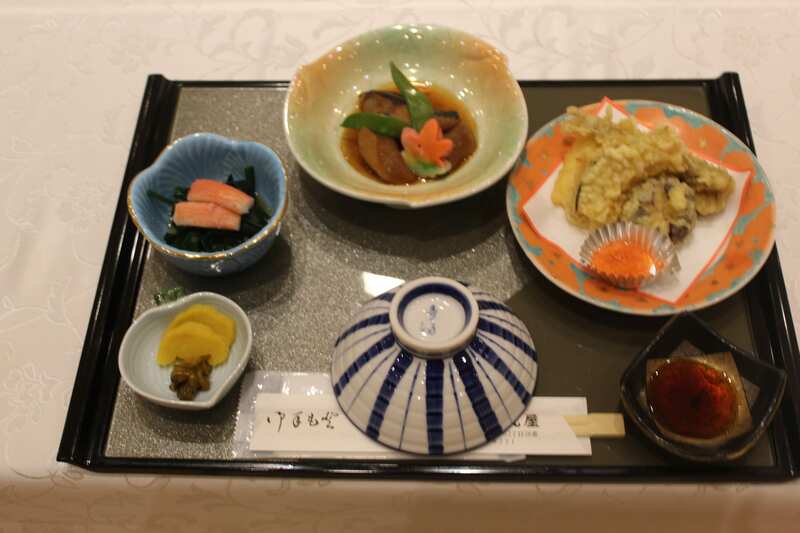 Since then, thorough decontamination efforts have taken place to open the roads back up to the public, and strict food monitoring policies have been introduced to address the unfounded rumours of Fukushima’s produce remaining tainted by the nuclear fallout. On the penultimate day, having worked until sunrise the night before to have it ready, I gave a speech in both English and Japanese to local businessmen, press, and government officials at our leaving reception. It was so important for me to truly convey how moving each and every person involved in the reconstruction effort’s courage and determination to rebuild their lives was to all of us, and I felt doing so in their own language was the least I could do. I spoke about how the whole community had inspired us with their strength, kindness and sense of humour. A strong local community is essential to disaster management and revitalisation, and we left with no doubt about the future of Fukushima. Since the disaster, Fukushima has received a lot of international attention, focusing mainly on the problems the region is facing; this attention will only increase now Japan is hosting the Olympics in 2020, and I hope that the international press will start to cover the Fukushima that I witnessed across my five days. The world should know about the delicious food, the beautiful scenery, and, most of all, the world should learn about the incredible resilience of Fukushima’s people as they respond to the disaster with a courage and vigour that should inspire us all. Japan is more than just Tokyo; visit Fukushima, the prefecture will surprise you. Growing up, I never imagined that at the age of 21 I would be given the opportunity to fly to Colombia to join the likes of Kofi Annan, Bob Geldof, and others to debate how we tackle world issues. Yet, a month ago I was honoured to represent not only the United Kingdom but also UCL at the ‘One Young World Summit’ in Bogotá, Colombia. As the first generation of diaspora, born in the UK but with parents from Somalia, I feel well placed to represent the reconciled interests of both my motherland and my country of birth, and I enjoyed sharing my experiences with a similarly diverse group of people. Championing the need for support of minority voices was one of the key messages I took from the summit. Sir Bob hailed the next generation as the key to solving global issues, while Denise Young Smith, Apple’s Vice President of diversity and inclusion, impressed the need for young people to have a role model. They certainly hit the nail on the head. Mentoring has made a real difference to me so I was thrilled to hear these inspirational voices talk about the value this can add to someone’s life. Having access to the support of community groups such as Bright Education Centre combined with sheer dogged determination lead me to the successes I have achieved so far. I now work as an Outreach Manager for Bright Education Centre to encourage others to achieve their aspirations, by running educational workshops and coordinating university advice days. Crucial to this communal effort is providing young people with opportunities to maximise their potential, and provide alternatives to the culture of crime prevalent in so many London boroughs. It is equally important to harness our fortuity to help those abroad. Just recently Somalia was hit with the most fatal attack in the country’s history. A truck bomb planted in the centre of Mogadishu claimed the lives of over 350 men, women and children with hundreds seriously injured. The scale of the attack makes it one of the worst terrorist attacks in the world. Rescue workers said a definitive death toll may never be established because the intense heat generated by the blast meant that the remains of many people will never be found. Somalis are resilient against violent extremism. But this is different. Everyone in the city has lost someone or knows someone who was injured. Some of those who died were described as the breadwinners; as a result, many families are suffering. Two weeks ago, I led a fundraiser and I made a pledge along with many other young people that evening. I pledged to not only stand with those suffering at the hands of this horrendous attack but to also raise £1000 for the cause. The amount I raise will go towards African Relief Fund, a charity on the ground helping the sufferers recover from the attack. It’s not an easy fact to acknowledge, but the truth is that millions of people across the world are looking to us for assistance. And although some may feel like our contributions could never be as far reaching as to impact those on other continents, I demand you rethink. This collective effort requires individuals from every age, race, ability and walk of life. I am fully aware that the capabilities of any individual is limited, but as long as we unite as one, there is no difficulty we cannot overcome. UCL students with an interest in Japan can apply for a fully-funded opportunity to visit Fukushima during January 2018. 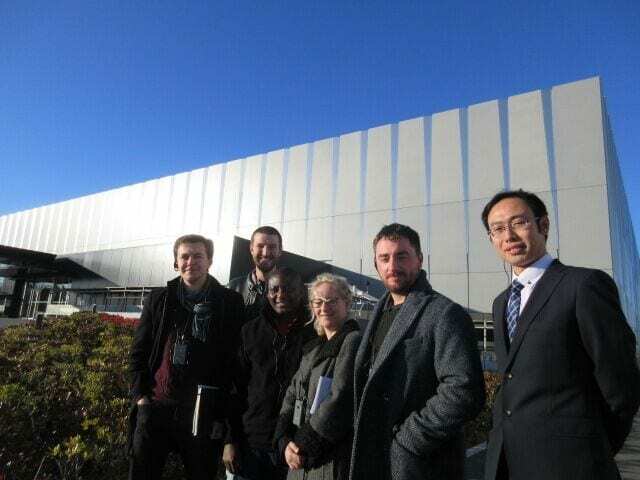 Fukushima Prefecture, with whom UCL has a longstanding collaboration, is inviting two students from any discipline to join a ten-strong delegation to visit from 15-21 January. Delegates will include staff from UCL’s Institute for Risk & Disaster Reduction, EPICentre and UCL Academy. Students can find out more about the opportunity at a Q&A session with Professor Shin-ichi Ohnuma, UCL’s Japan Ambassador, on 24 November 2017 at 12.00-13.00 at UCL’s Confucius Institute (15 Woburn Square, London WC1H 0NS). The prefecture will fully support the UCL team visit, including the cost of air fare, accommodation, meals and in-country travel. The successful students will be asked to contribute social media and blog posts about their experiences while they are in Japan, as well as taking part in a group presentation about the visit. The Japanese islands face an extraordinary range of natural hazards – earthquakes, volcanic eruptions, tsunami, landslides and tropical cyclones. In 2011, East Japan suffered from a huge earthquake and tsumani, which killed many people along the coastline. The tsumani affected the Fukushima Nuclear power plant, which resulted in wide-level contamination by radiation. 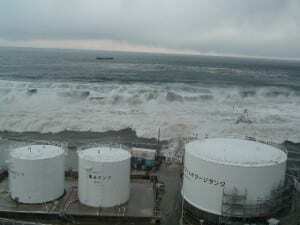 Many people in Fukushima are still suffering from this damage. UCL decided to contribute to the recovery of Fukushima and signed a Memorandum of Understanding with Fukushima Prefecture in 2014. Students can attend the Q&A session on 24 November for further information about the visit. To apply please email the below details by 2 December 2017 to Sofia Shamim in UCL’s Global Engagement Office with the subject title “Fukushima Fieldwork and Visit – YOUR NAME”. Your level of Japanese language (although this is not a pre-requisite). Please note students need to obtain permission from their course organisers. This week, the Study Abroad team is running its annual Study Abroad Fair, celebrating the breadth and variety of UCL’s outward mobility opportunities and encouraging students to take full advantage. UCL has exchange agreements with over 250 institutions in 40 countries across five continents, including 48 of the world’s top 100 universities. Data compiled by GEO’s Strategic Data Manager, Alejandro Moreno, indicates that in 2016, UCL students participated in outward mobility experiences in destinations ranging from Los Angeles, California to Avarua, New Zealand. 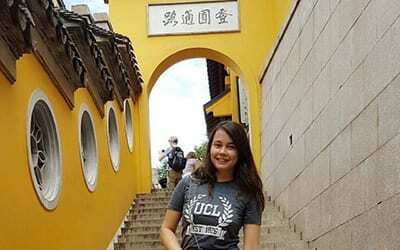 UCL Study Abroad also provides students with different exchange and mobility options. This pie chart shows the percentage breakdown of student mobility in 2016 across the various types of mobility available. UCL students who have participated in an outward mobility opportunity – whether spending a year at a prestigious American university or a couple of months excavating historic sites in Israel – have recommended it as an extremely worthwhile experience. Here are a few student testimonials. Alexandra Willems was one of six UCL students to join the summer Study China Programme 2017 – an immersive three-week Mandarin Chinese programme. Eshitha Vaz was awarded one of the Study Abroad tuition fee free places at the University of Sydney. 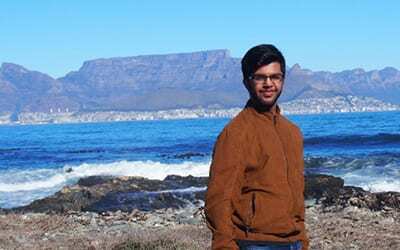 Moiz Paracha was part of the first UCL outward mobility experience to the University of Cape Town, where he joined the Sustainable Water Management in Africa course. To find out more about what opportunities are available to you and to read more student testimonials, visit the UCL Study Abroad website and follow them on Twitter @UCLcares. 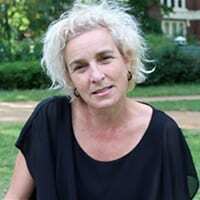 Hayley Gewer (UCL Centre for Languages & International Education) runs a UCL Summer School module called ‘Global London: Contemporary Urbanism, Culture and Space’. The course enables students from around the world to take a global city (London) as a pivotal concept from which to explore a range of considerations around contemporary cities, including their own. Could you tell us more about the course? The course was set up specifically for the summer school. It is a short three-week course that really invites students to look at urban complexities, urban contradictions and urban opportunities within a very short period. Students are invited to come and learn about London, to explore theoretical concepts and to practically engage with what the city has to offer in terms of contemporary urban processes. We look at considerations around multi-ethnicities, transnationalism, inclusion and exclusion to understand how migration has shaped the city of London and how it represents the global world through one city. We look at considerations around urban culture, cultural production and urban change – looking at processes like gentrification, vernacular culture, ordinary culture and manufactured culture – to understand how London is currently a city of cultural diversity but also a city of cultural homogeneity. How do students interact with the city? The course really hopes to provide students with an opportunity to explore how cities have been shaped, who is involved in shaping them, who benefits from shaping them, and who doesn’t, and to take a critical lens to not only London but their own cities and cities all around the world. Students are also given the opportunity to share with each other in the classroom; this is complemented by fieldwork where students are encouraged to use a range of research methods to explore the urban. It is quite experimental – they are encouraged to use sound and film as a way of engaging with specific places that we visit. They are also urged to really explore how the theoretical approaches that we do in the class room apply or don’t apply to the areas that we are visiting. How does the course cultivate a global perspective? 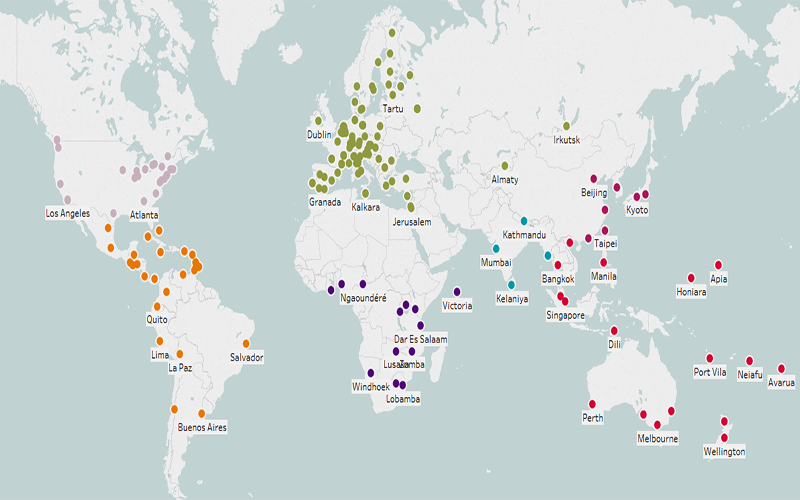 The course uses ‘Global London’ as a pivotal concept to explore a range of urban considerations. We take the concept of global cities as a starting point where we explore the process of globalisation and the ‘world cities/global cities’ concept that has emerged from that. Students are invited to critique the concepts and to think about the broader implications of these hypotheses. We then counteract the global cities hypothesis with more post-colonial considerations of cities around the world and all the time students are encouraged to reflect on their own cities, to share information and to learn from each other. Students come from all over the world to study on the summer school and this course really invites them not only to experience, learn and think about London, but then also to go back to their own cities and hopefully to relook at their cities with new eyes, given what they’ve experienced on the course. How has this been for you, participating in the summer school? It has been a very enriching experience, because it is really invaluable to hear from a wide range of experiences, to learn from students themselves about their own unique urban spaces but also for them to share. Students are young so they are bringing in a lot of new information I might not have been exposed to and they are also able to create linkages between information I might not have been able to make. It’s a very rewarding experience. I think for UCL as a whole it is great to have students from all the world, even for a short period of time, because students are able to see how well-located UCL is, the facilities that at here, the professionalism of the teaching and the environment that students learn in. Even though some students might only be here for a short time, it might be that students return to do post graduate studies in the future. University of Melbourne undergraduate Florence Townshend was a participant on this year’s course – read her blog about her experiences. To find out more about the Global London module, contact Hayley. Interested in running a module at the UCL Summer School? Contact the team here. The Consortium of Higher Education Institutions that are part of the United Kingdom-Mexico Visiting Chair (UK-MX Visiting Chair) are pleased to announce the launch of this year’s Mobility Grants scheme. The UK – Mexico Visiting Chair scheme provides mobility funding for a research visit of up to two weeks to visit a new potential collaborator within a Consortium of 12 Mexican and 12 UK universities. A full list of participating Mexican institutions can be found in the Guidance Notes. The scheme was created with the support of Mexican and UK governments to increase research collaboration and strengthen relations between HEIs in Mexico and the UK. UCL researchers interested in working with partners in Mexico can apply for funding to support their collaboration. To be eligible, applicants need to hold a doctorate degree in the areas of Science, Technology, Engineering and Mathematics (STEM) or Social Sciences and Humanities as well as being employed by any of the HEIs included in the scheme. Activities accepted and encouraged include attendance at workshops, research symposia and conferences, as well as meetings to scope collaboration, share best practice or develop new initiatives. Please note: there is a minimum requirement to spend at least four days at the allocated HEI. Costs covered under the scheme include flights, accommodation, workspace, insurance, internal travel and incidental expenses. Applicants must read the Guidance Notes in full before completing the research project proposal form. They will need to list their top three possible destinations for their proposed visit to Mexico – this should include confirmation from the host academic/department in each institution. The results will be announced on Monday 2 October by email and published online thereafter. Applicants should be aware that if successful, the location of their placement will depend on finalisation by the Commissions of both their home country and that of their partner.